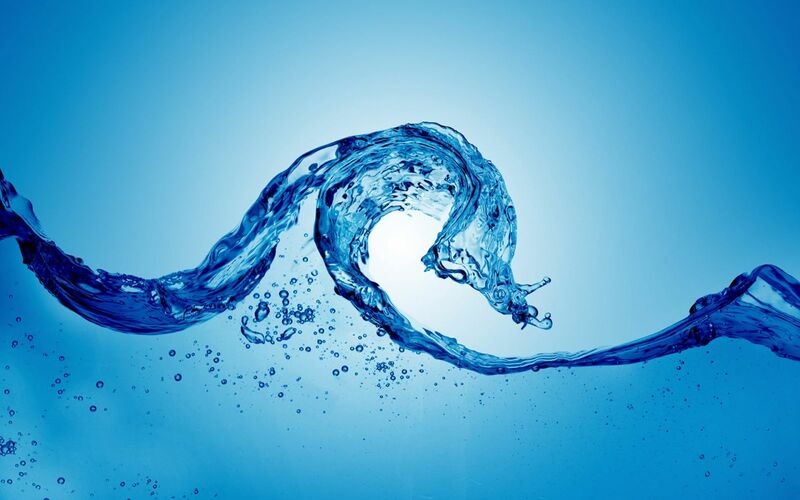 Water, something so simple, can have profound effects on an individuals health. Proper water consumption is extremely important in allowing your body to be in a place where it can heal and function optimally. Your body is made of ~70% water and unsurprisingly it is involved in many processes from detoxifciation to the production of energy in every cell in your body. 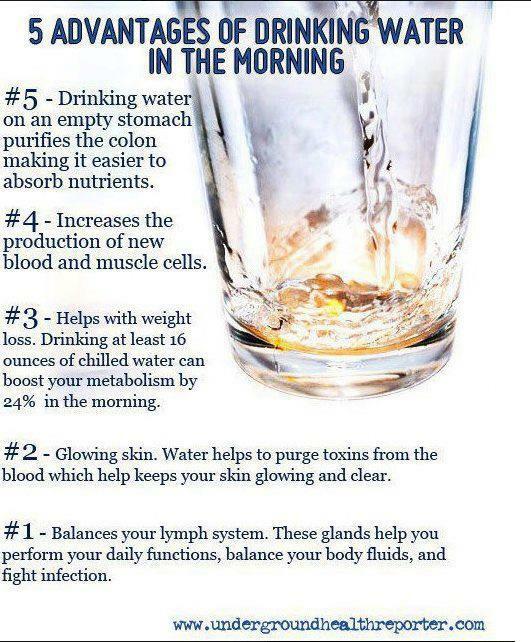 So its very important to keep hydrated and to make sure you are consuming enough pure water. People generally assume drinking any liquid or drink with some water content is considered to be part of their daily water intake, which is WRONG. It is reported that people today are consuming on average 2.0 liters of water a day, which is ok, but is a bit below the 3.0 liters the average 150 lb person should consume a day. The bigger problem is that peole are also consuming high levels of other drinks like coffee/tea, soda (216 literes per person/yr), and other artifical fruit drinks (43 literes per person/yr). These products are not water and should not be considered part of a person's daily water consumption and most of these products actually cause the person to become more dehydrated. So in reality if you drink these other products throughout the day you need to increase your water consumption above the normal amount to compensate for their effects. It is strongly adivsed you restrict or completely avoid all soda products because they are loaded with chemical preservatives, sugar, and have been shown to be associated with an increased risk of type II diabetes and stroke. Juice isn't much better for you either contrary to belief because they heat it up so high to pasteurize it that all most all vitamin content is damaged and isn't able to be absorbed. 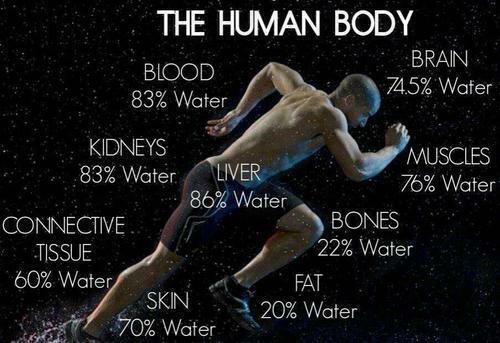 The tissues and organs in your body are made from anywhere between 20 - 86% water, so when you don't drink enough water or are consuming too many other "sports" drinks or soda your body will pay the price. You want to function optimally and stay healthy? Stay properly hydrated. Not only is the proper amount of consumption of water important, but also the type and quality of the water as well. People often assume water is water and it will have the same beneficial effects no matter its source. That is incorrect however, the source of water itself is very crucial to its ability to boost your body's health. The worst source of water is from the tap from either a well or city water source. In 2010 the EPA did some research and tested public water supplies. They found that water that was treated and labeled as "safe" containted 54 active pharmaceutical ingredients and 10 metabolites or by products of drugs. An earlier study from 2005 by the EPA and the Geographical Survey stated that 40% of water was contaminated with non-prescription pharmaceuticals and 3 out of 4 of the most commonly occurring chemicals in drinking water are estrogenic hormones such as birth control type products. 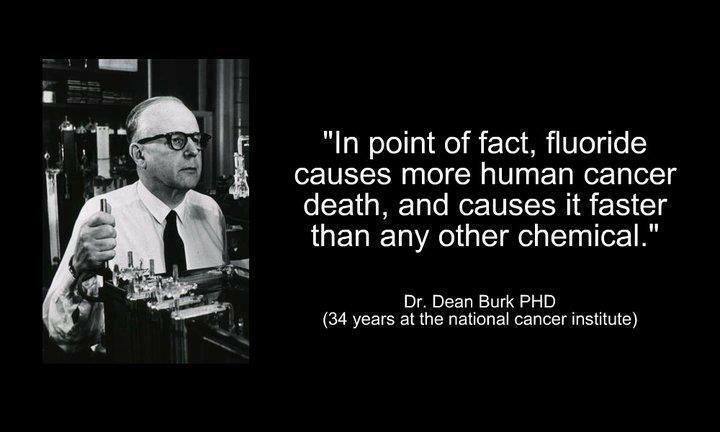 What this means is when you drink treated tap water or well water you are consuming a cocktail of chemicals and female hormones. 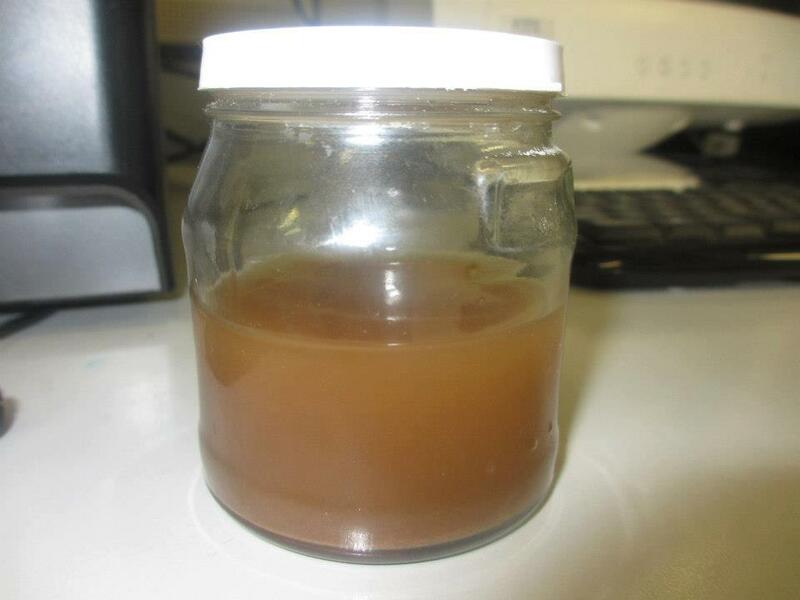 The picture to the above to the right, of the brown soup looking substance, is what is left from distilling 9 liters of tap water, which is the amount you should be comsuming in about 3 days. You can clearly see how the petroleum, heavy metals, and gunk has caused a brown jelly-like consistency. By drinking this water every day, year after year, your body is being exposed to and having to filter out all this toxic waste. This extra work puts stress on your liver and kidneys, which are vital for other functions in the body. Adding a filtration system to your water supply will help with some of this, but it won't get rid of everything such as chlorine, flouride, and other chemicals. The basic filters mainly remove bacteria and chunks of heavy metal debri. There are other options out there though and looking into a sophisticated water filtration system is worth the money. It will save you health costs later down the road and you should feel better overall. If you can afford it drinking water from a trusted bottled source is the best. Not all bottle water is created the same though. Some companies use reverse osmosis process, which removes all the minerals and electrolytes in the water rendering it almost too pure. Drinking this water can actually cause your body to lose minerals and electrolytes in the process, which can cause further dehydration issues in the long term such as muscle cramping or other neurological issues due to electrolyte imbalance. You will always be able to see if a bottled water uses reverse osmosis or not on the actual label, so be sure to check. Some common companies that do are: most store name brand waters, Nestle brand, Aquafina, and many others. Again let me stress drinking reverse osmosis water is great and much better then tap water. The purpose of this article is just to get specific to show you the subtle differences in water qualities and their effects on the body. Other bottled water brands, like Evian, don't use any other filration methods except allowing the water itself to run through the natural sand and clay in the French Alps. While this is good for toxins and chemical contamination it still contains a good amount of bacteria that has been shown to be at levels 100 times more then are allowed to be in certain countries. It is always best to drink a water that is isotonic, which means has a similar ion concentration as your cells and body. The best choices for bottled water are glass non-carbonated mineral waters, but that is quite expensive over time. Another more economical approach is to get other types of mineral waters that come in gallon jugs or in the larger 5 gallon water cooler size containers. For these, the larger hard plastic is the best, but you can find gallon jugs of good mineral or spring water at most every grocery store. The key for those smaller plastic jugs is make sure they are not exposed to extreme heat or cold, because this can allow parabens to leak into your water from the plastic. Some good brands of mineral/spring water in glass are: Aqua Panna, Gerolsteiner, San Pellegrino, and Perrier. Good plastic mineral/spring water brands are: Deer Park, Arrowhead, Poland Spring, and Ice Mountain. There are more brands out there that are quality depending on where you are located just be sure to read the label on a spring water and check for how its filtered. A common concern is that drinking bottled water is costly compared to drinking from a tap or well. It is generally more expensive to buy water bottled even in large containers then drinking form city sources, but what you have to ask yourself is, "What are the risks and possible outcomes if I just drink tap water?" 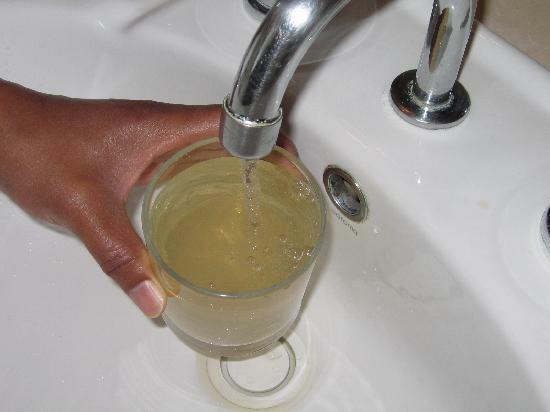 One of the biggest problems with tap water especially from water systems of larger cities is water flouridation. 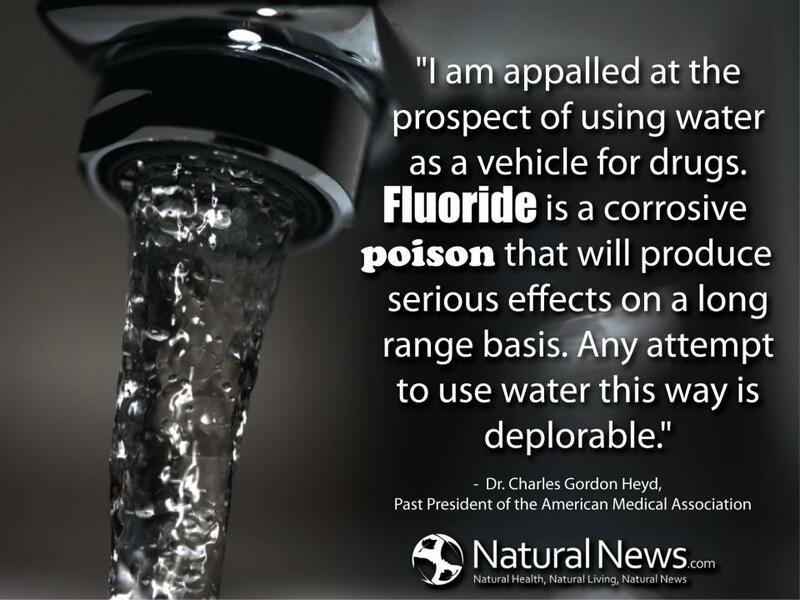 Cities are dumping flouride, a toxic chemical that is a by product of aluminum manufacturing, into our water supply and saying that it is justified because its good for our teeth. 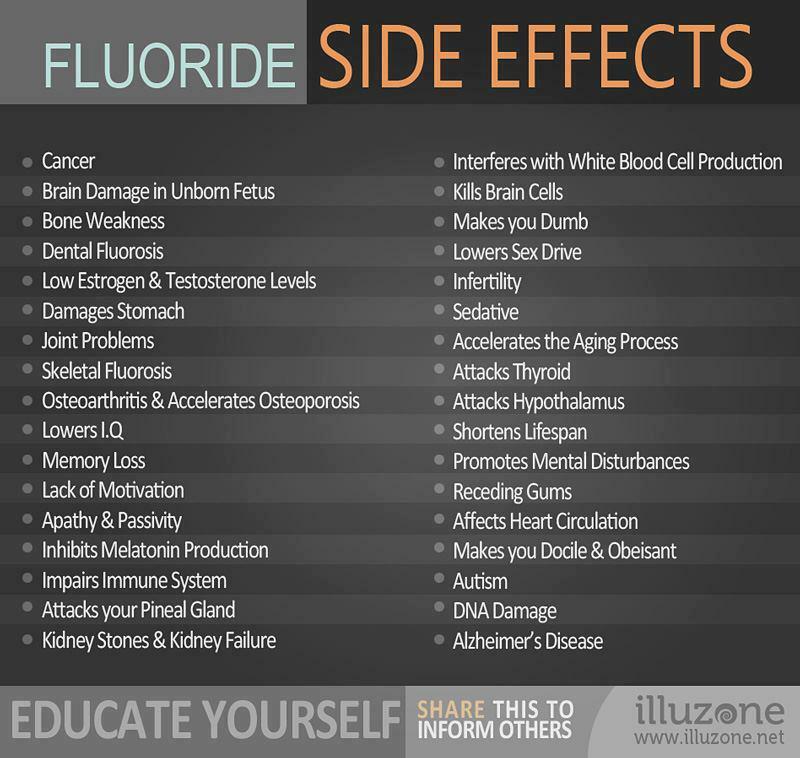 There has been overwhelming evidence that flouride is thought to be a possible cause to all sorts of pathological processes in the body. The World Health Organization has conducted studies that show if you live in areas with "optimal water flouridation" you have a higher risk for 23 different types of cancer. Other research shows you have increase risk for diseases like Alzheimer's and Autism, possible risk of lowering your childs IQ, as well as causing all sorts of other internal issues from thyroid problems to joint pain. The flouridation of water is a serious issue and one you should take a second to think about. Paying for clean water might be worth not having the increased risks for all sorts of health issues. Paying a few more dollars now will help keep you feeling good and living a healthy active life instead of paying possibly thousands of dollars later for treatment of some of the issues we talked about earlier. Regardless of all the previous information if tap or well water is all you have to drink currently then drink it until you can find a new source or get a filtration system. Tap water is better then no water. There have been some studies out that show taking selenium supplements can help detox the body of flouride, so these may be a good idea for someone who can't avoid drinking tap water on a daily basis. Natural sources of selenium are found in many types of nuts and fish (Click Here). Drink about 1 liter (1 quart) of water for every 50 lbs of body weight. If you are consuming other deyhydrating beverages like soda, coffee, tea, or excercising then you should be drinking even more. Drinking a steam distilled, high quality filtered water or bottled spring water with some trace minerals is the best source. Reverse osmosis water is not the best way to hydrate and drinking carbonated bottled water is ok, but should not be your primary source of water. Drinking water right away in the morning when you wake up is the best time to do so because you get dehydrated over night and this helps flush your body of accumulated toxins. Drink water between meals not with your meals. Consuming water or other beverages while you eat will dilute your stomach digestive juices and prevent you from properly digesting your foods. Without stomach acid breaking down food sufficiently it can cause issues with your ability to absorb nutrients. Drinking water can help you lose weight. Water helps your body remove toxins, which will help your body lose water weight and drinking water keeps you full and prevents you from drinking sugar filled sodas, juices, and other drinks which cause weight gain as well. Drinking bottled water is more expensive then tap water yes, but if you stop and think of the health benefits and prevention of potentially serious health problems later down the road you are actually saving money and living a higher quaility of life now and later. The moto that always comes into play with good food and water is you can either "Pay now or pay later". Meaning pay more now for good food and water or pay later for the extra health costs, drugs, ext and you will pay in that your body will be in worse shape preventing you from doing things you want to. The choice is yours. The best way to insure a safe and healthy water supply is to contact your local government officials and let them know of your disaproval of water flouridation. Inform them of dangers of water flouridation and give supportive data, a lot of which you can find on this page. People all over the world and in the US have spoken up and gotten rid of water flouridation for their communities and by doing so have saved themselves and the ones they love from being exposed to such nasty chemicals on a daily basis. In the long run they could prevent serious neurological or degenerative disease processes from occuring and live a healthier life then was possible before. Talk to others around you who are aware of these issues or educate people about it and come together to make a positive change for the world one community at a time. U.S. Environmental Protection Agency (EPA). Dallas, TX (2000-05). "Chapter 3: Exposure Scenario Selection". Retrieved 2007-02-19.RCRA Delisting Technical Support Document. p. 8. Biological Water Filters says:. "Pharmaceuticals in the Water Supply: Is this a threat? – Water Matters - State of the Planet". Blogs.ei.columbia.edu. Retrieved 2011-12-05.